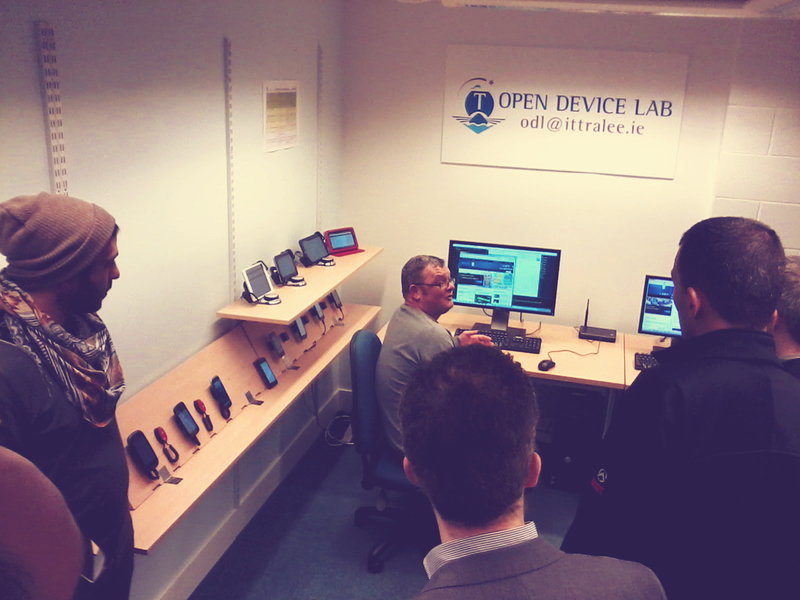 The Institute of Technology, Tralee is living up to its aim to become a Technological Hub for the region in opening up the first Open Device Lab (ODL) in Ireland. The Open Device Lab was officially launched during Tech Week, with Industry Reps from the ICT Industries attending talks, demos and tours of the facilities available. The IMaR team were involved in the establishment of the lab which will allow the center to to inprove it devlopemtn and testing of mobile apps. There are currently 111 Open Device Labs (ODLs) across 26 countries around the world. The Institute of Technology, Tralee is very proud to announce that it has established the very first one in Ireland.